Sloane Stephens fulfilled her dream to win her favourite tournament in the tennis venue, where everything bagan. Sloane Stephens crowned a perfect Miami tournament with her first Premier Mandatory title in Miami after beating Jelena Ostapenko 7-6 (7-5) 6-1 in the final. For the 24-year-old the Miami triumph in front of her family and friends was the perfect farewell to Crandon Park. 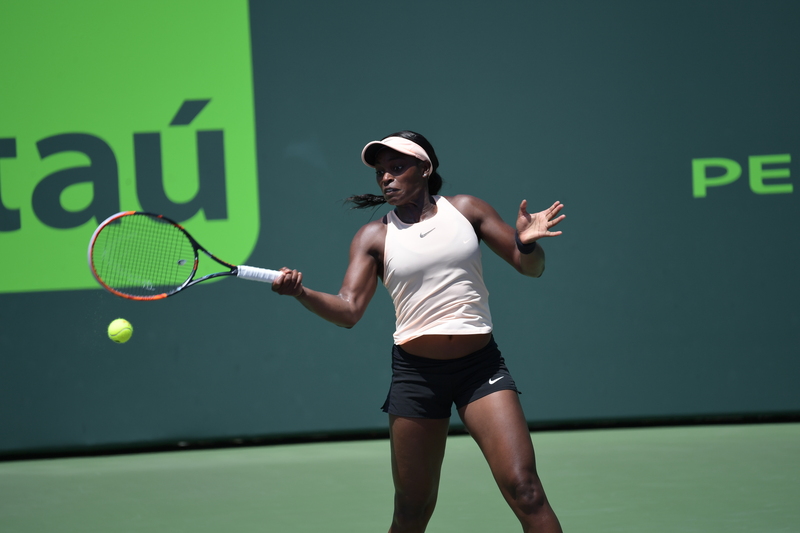 The Miami Open will be relocated from Crandon Park to the Hard Rock Stadium (the venue of the Miami Dolphins NFL team) next year and for Stephens her triumph was the perfect way to say goodbye to tennis courts, where her career began. Stephens has become the fifth US player to win the Miami tournament following in the footsteps of legends Martina Navratilova, Chris Evert and sisters Venus and Serena Williams. 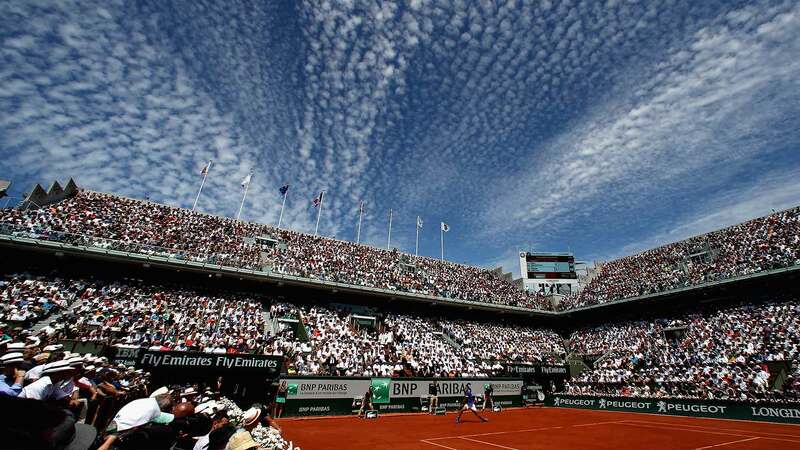 “I grew up playing tennis here. Obviously this place is pretty special to me. When the USTA was here, we played Orange Bowl and all sorts of tournaments here. I am definitely happy that I could be the last person to win here. I have had some amazing experiences here, and I will definitely miss it, but I will definitely miss it. I just feel fortunate that I was able to do that here in South Florida with all my friends and family watching. It’s pretty awesome. Obviously I did not start the year off great, so to have a good result here is really important”, said Stephens to WTA Insider. Sloane Stephens came into the Miami Open with a record of just three wins in four tournament but she found her rhythm in the home tournament beating four consecutive Grand Slam champions Garbine Muguruza, Angelique Kerber, Viktoria Azarenka and Jelena Ostapenko en route to her first WTA Premier Mandatory title. With the second biggest title of her career after the 2017 US Open Stephens has maintained her perfect record winning her sixth WTA title in as many title matches. “Everyone is complaining that I play the easiest players when I win a tournament and I don’t play anyone in the top 10. I beat four Grand Slam champions. That’s pretty incredible and I am really pleased with that”. Stephens felt that beating Monica Niculescu in the first round was more difficult than playing against Grand Slam champions on Centre Court. “I think that a lot of the work is done when there is no crowd and there is no one there and you are playing a player who is extremely difficult to play. Someone that chop you up at any point. It’s not easy. 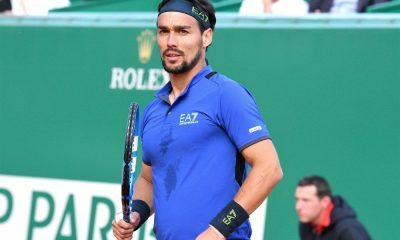 You work so hard during those matches to be able to play on Center Court against top three players in those great matches. I think the easy part is when you are playing on the Centre Court ! When you are playing someone like Monica, that’s when you really get pushed to your limits. Those types of things are the learning lessons that I need to be able to improve and get better and play my best tennis on the Centre Court”. Stephens admitted that the injury at the start of 2017 has helped her change her perspective in tennis and life in general. “When I was told that I had to undergo surgery, I thought that this was the end for me, as tennis was the only thing I was able to do. 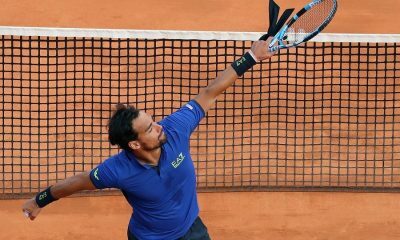 Injury gave me a new perspective on tennis and on life. I don’t think there is anything else I would rather be doing. I worked for Tennis Channel and I finished my studies at the University. I felt that I was able to do something else in my life apart from tennis. I felt that I had other goals and this has helped me see things in a different way”. Sloane Stephens is looking forward to the next tournaments starting from the clay season. “I have not played in Rome for the past two years. I am looking forward to this tournament. Clay is my favourite surface. 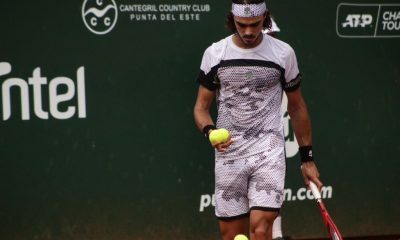 I hope I will be able to continue playing well on clay”. 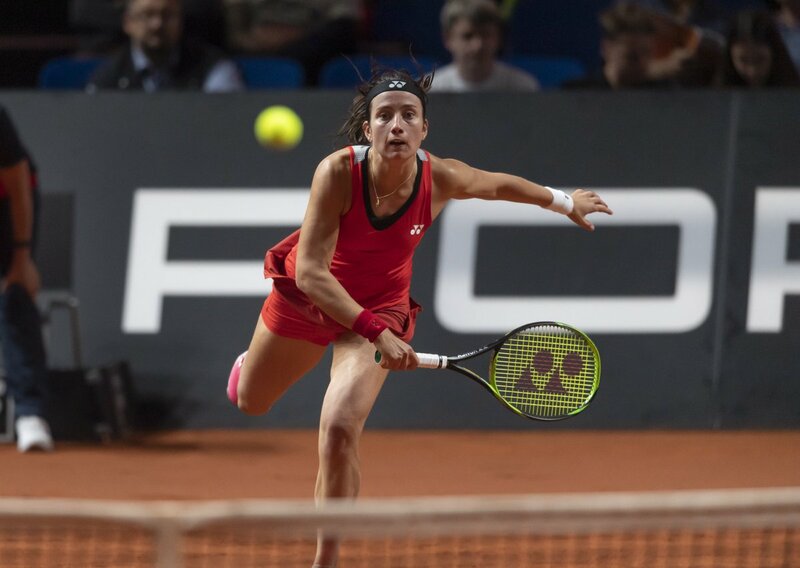 Number 7 seed Anastasija Sevastova overcame 2017 Roland Garros champion and 2018 Stuttgart Jelena Ostapenko 6-2 4-6 6-0 after 1 hour and 49 minutes in an-all Latvian first-round clash in the Porsche Indoor Grand Prix in Stuttgart. Sevastova converted seven of her fourteen break points to edge her compatriot Ostapenko in their first ever head-to-head clash at WTA level. Sevastova will take on either Lesla Tsurenko or German wild card Laura Siegemund. The German player won her home tournament in 2017 and reach the final in 2018. Sevastova got the first break of the match in the third game of the opening set to take a 2-1 lead. Sevastova saved two break points in the next game to hold serve for 3-1 in the fourth game. Both players fended off two break points in the next two games, but Sevastova got the break in the seventh game to take a 5-2 lead. Sevastova hit an ace to earn a set point, as she was serving for the first set at 5-2. She sealed the first set in the ninth game, after a wide return by Ostapenko. Ostapenko bounced back by winning the first five games of the second set with a double break. The 2017 Roland Garros champion wasted two set points, when she was serving for the set at 5-1. Sevastova pulled one of the two breaks back on her fourth chance for 2-5. In the ninth game Sevastova pulled the second break back to get back on serve at 5-4 after two double faults from Ostapenko. Ostapenko broke serve from 0-30 down in the 10th game to seal the second set 6-4 sending the match to the third set. Sevastova broke serve in the opening game of the third set and came back from 0-40 down to hold serve to open up a 2-0 lead. Sevastova went up a double break in the third game and fended off two break points to hold serve for 4-0. Sevastova broke for the third time earning a chance to serve for the match. She held serve at love to clinch a bagel set securing her spot in the second set. Kasatkina earned the first break in the eighth game to take a 5-3 lead. Mertens broke straight back and held her serve in the 10th game to draw level to 5-5 after saving a break point. Mertens went up a 4-1 lead and earned a set point at 6-5 in the tie-break, but Kasatkina bounced back by winning five of the next seven points to win the tie-break 10-8. Mertens broke twice to take a 5-3 lead in the second set, but Kasatkina fought back by winning four consecutive games with two breaks in the ninth and eleventh games to win the second set 7-5. Kasatkina will face either Croatia’s Donna Vekic or Italian lucky loser Giulia Gatto Monticone. The draw for the women’s tournament has been redone after the two former world No.1 players pulled out. The Porsche Grand Prix in Stuttgart has been hit with a double withdrawal after Simona Halep and Garbine Muguruza pulled out for different reasons. Reigning French Open champion Halep is currently suffering from a hip injury that she sustained over the weekend in his country’s Fed Cup tie against France. 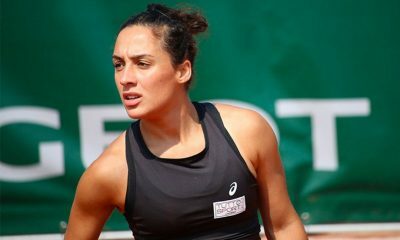 The Romanian played in two singles and one doubles match during her country’s 3-2 defeat. “It happened against Garcia in the first set, when I fell down,” Halep commented about her injury on Tuesday. “I felt pain in the hip. “If I’m not 100%, I don’t want to step on the court. I’m also exhausted mentally because I gave my everything in that tie. Despite the setback, it is understood that the injury is not serious and will unlikely have an impact on Halep’s plans for the rest of her clay-court campaign. So far this season, the 27-year-old has won 18 out of 24 matches played. Reaching the semi-finals in Miami and the final in Doha. “I stopped because there’s a two-week break, so it’s enough time to recover. I just want to go home and relax myself,” she said. Halep was in a three-way race to claim the No.1 spot this week prior to her withdrawal. Now the only way Naomi Osaka can lose her top spot is if she crashes out in her opening match and Petra Kvitova goes on to win the title. Elsewhere, Muguruza will miss the tournament for the first time since 2014 due to Gastrointestinal illness. It is the second consecutive year the Spaniard has been forced to quit the tournament. In 2018 she retired during her second round match due to a lower back injury. Muguruza recently won her first title of the season at the Monterrey Open in Mexico. In the women’s draw, Angelique Kerber has now moved into Halep’s second seed position. Muguruza’s planned opponent Victoria Azarenka will now play lucky loser Vera Zvonareva. Meanwhile Donna Vekic, who would have played Kerber, faces Giulia Gatto Monticone. Revised Main Draw @PorscheTennis after the withdrawals of Simona Halep (left hip) and Garbiñe Muguruza (GI illness). Amanda Anisimova edged out Astra Sharma to win her maiden WTA title. 17 year-old Amanda Anisimova won her first ever WTA title after edging past Astra Sharma 4-6 6-4 6-1 in Bogota. 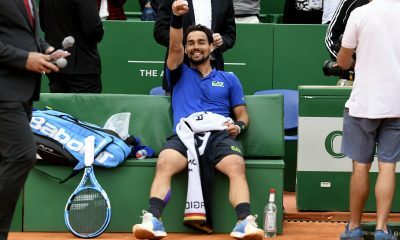 The American, who has been tipped for big things in Tennis, battled back from a set and a break down to win her first WTA title in Bogota. It means that Anisimova is the youngest American to win a WTA title since Serena Williams in 1999 and is destined for many more titles in the future. Meanwhile in Lugano another 17 year-old Iga Swiatek just fell short of her first title as she lost to Polona Hercog 6-3 3-6 6-3. The match saw a nervous start as both players were going for their first title of their career. After the first five break points where converted, Sharma was the first one to hold for a 4-2 lead. Eventually the American held herself before both women broke each other again in a very messy first set. The Australian held at the end of the set as she secured the opening set. It was a positive start from Sharma, who was looking to do the double in Bogota after winning the doubles title with Zoe Hives yesterday. A reassured Sharma took a 3-2 lead, breaking twice, and it was looking increasingly likely that she would be the one to claim her first singles title. However Anisimova started to gain confidence off her serve and her movement was looking better as the match went on. 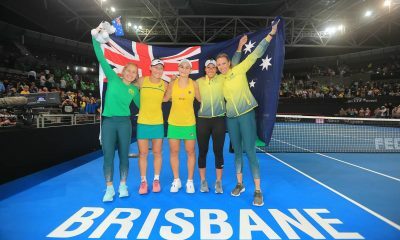 A fix on the timing of the return saw the American break twice more as she took the second set 6-4 to force a decider. The 17 year-old then took charge of the final set as she mixed up her serving and showed a lot of confidence on the backhand side. After saving a couple of break points, she held for a 3-0 lead as the Australian was missing simple shots as she had no clear decision making. Eventually Anisimova remained poised and confident to secure her first ever WTA title and to become the youngest WTA winner since Serena Williams in 1999. It was a mixed day for the juniors after Wimbledon Juniors champion Iga Swiatek fell short of her first WTA title after a 6-3 3-6 6-3 defeat to Polona Hercog. The Slovenian showed more experience and grit to overcome a confident Swiatek to claim her third career WTA title. This week’s results means now their have been 18 different winners in 18 different tournaments on the WTA tour, which is an unprecedented feat.